FREE UK delivery over £10! 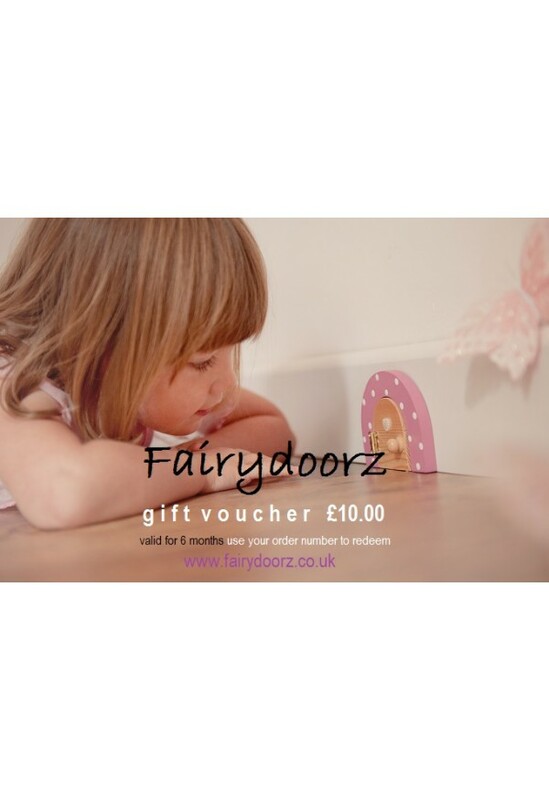 Our indoor fairydoors opens - so when your little ones are asleep the fairies and elves visit and in the morning the door is ajar with a sprinkle of glitter and perhaps a gift or note too! Fairy dust and fixers included in gift sets. We have themed doors to suit all personalities! From Super Hero to Princess, Sweet Dreams fairy doors for help with getting children to sleep, tooth fairy doors and dummy fairy. Personalise as you wish! They are made from REAL quality pieces of wood and measure approximately 8cm tall and 10 cm in length. Perfect for birthdays, christenings, Christmas & any occasion! Tooth fairy door/dummy fairy and elf doors too. Real wooden home and garden fairy doors/fairy houses that make beautiful decorations and wonderful unique gifts.